Oooh, squeal! Looking to get all girly? 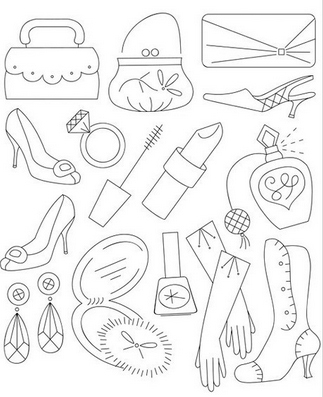 Look no further than this collection of bijoux, purses and pumps. Tsk, SO fun and fabulous! 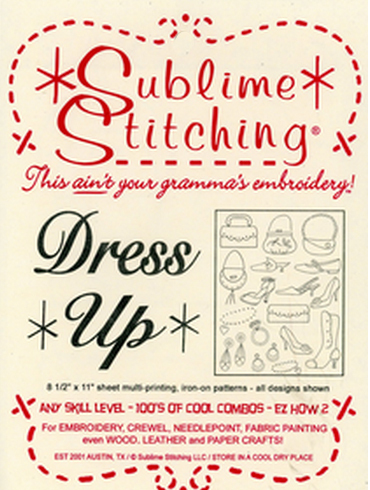 One 8 1/2 x 11" sheet of multi-imprinting, iron-on embroidery patterns.Just iron on to any fabric and stitch along the lines. 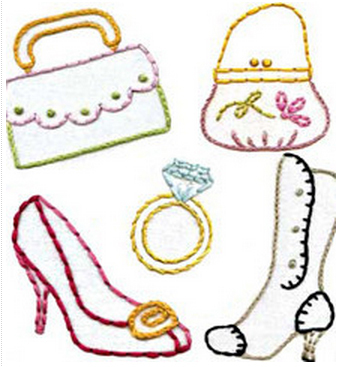 Each pack comeswith complete instructions for getting started in embroidery!